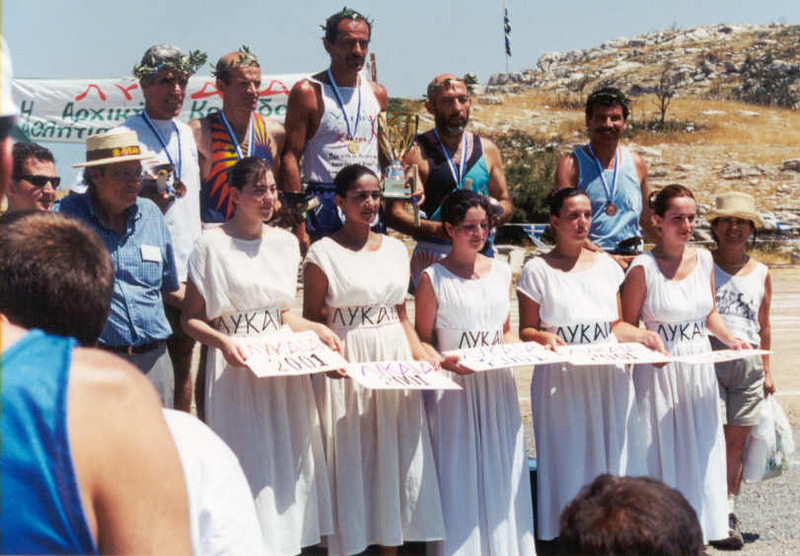 "Lykaia" meeting, active veterans, August 2001, Lykossoura. 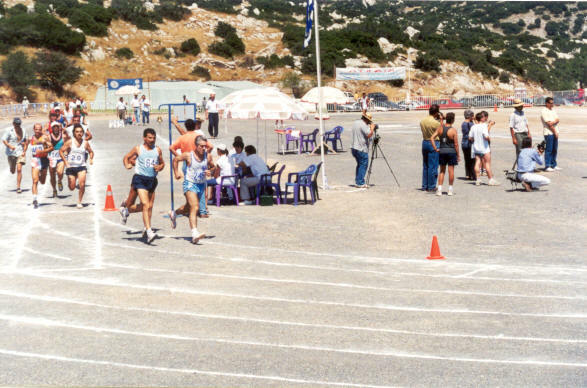 The race classification just after the start of the event of 'Dolichos' (12 laps). 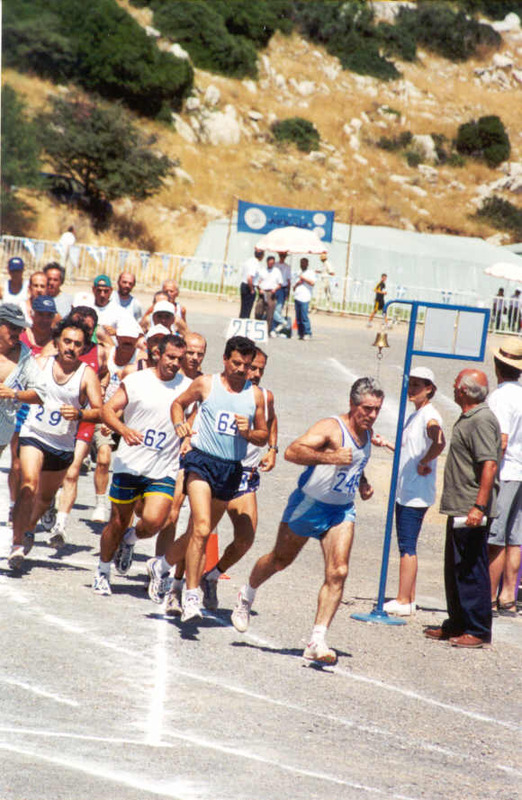 Cession of the fourth place. 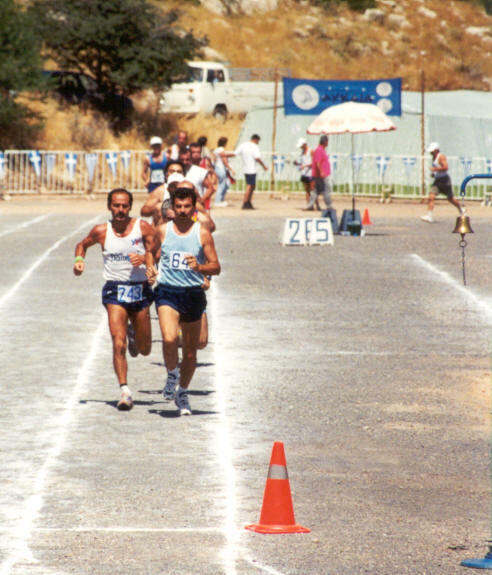 Giannis Kouros about to overtake. Fifth place on the podium. 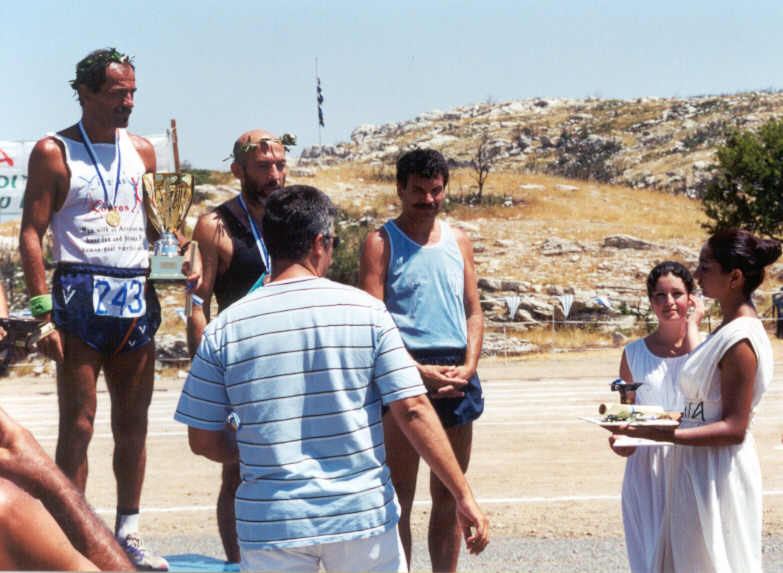 The traditional ceremony of the podiium.